Retail spaces take the most advantage of property maintenance because in order for customers to continue buying goods from the store the space must be high quality and keep extremely clean. There isn’t a soul on this earth that would walk into a poorly kept store and want to buy their goods. That is where we come into play! We take on the responsibility of giving the retail space a high quality cleaning and keeping customers coming back to your very neatly kept shop! The shops image is top priority to us! 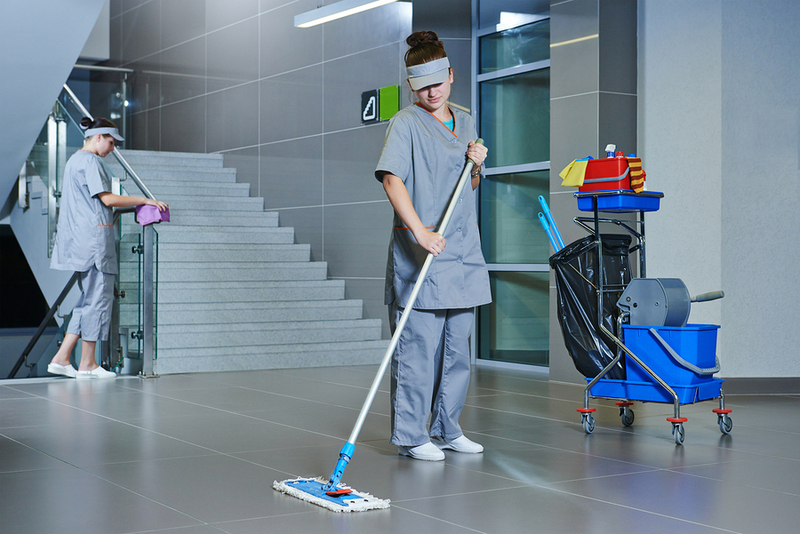 The services included are: Dusting, cleaning, and disinfecting of all surfaces, windows cleaned, trash taken out, restrooms cleaned and disinfected, floors vacuumed and mopped, finally floors will be buffed to put the finishing touches on the space. This is only a basic list and any service not on this list can usually be added to your service upon request prior to first cleaning. Floors are especially important in these environments for exuding cleanliness and for safety of the customers by not becoming slippery. The process of floor waxing increases the life span of a floor and reduces the frequency of cleaning needs because it will not absorb dirt, debris or oils. Further, this keeps the floor color more radiant, often brightening the room overall and making it more aesthetically pleasing. And for carpeted floors, regular cleanings are even more important. Carpets are basically sponges for dirt, debris, dust and oils. Any carpet or rug more than one year old should undergo a deep cleaning. Customers with allergies may notice symptoms in your store if carpets go uncleaned. Our company only uses GREEN cleaning products to protect you and your customers from harsh chemicals. Using only GREEN cleaning products and solutions means there is no more chemicals absorbed in the skin or lingering in the air. Making the space safer for everyone.